Top Lodge in Blantyre presents a choice of 12 executive rooms all of which are self–contained and equipped with satellite television, WiFi internet, air conditioning, guest bar, conference facilities, restaurant, shuttle service and other facilities. 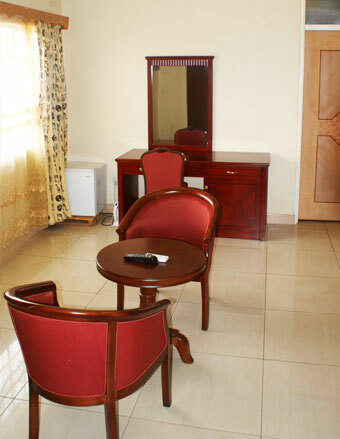 Our deluxe rooms all have double beds while our suites have king size beds and single beds for children. Our room rates include bed and breakfast. Children or other family members in suites pay extra depending on age. Room rates exclude VAT and tourism levy. Credit payments require prior arrangement with management and may attract prior interest charges. Those that pay upfront enjoy massive promotional benefits and discounts when in applicable.